Millions of skywatchers around the globe admired the ‘blood moon’ in what was the shortest lunar eclipse of the century. Early Saturday morning, the moon slipped into the Earth’s shadow for just under five minutes. As the sun, earth and moon aligned, sunlight passing through the planet’s atmosphere slowly darkened the moon, until it took on a burnt-orange hue. Hundreds of spellbound skygazers took to Twitter to post photographs of the celestial spectacle. The event was best observed from the west coast of North America, Australia, and New Zealand as well as eastern Asia. Parts of South America, India and China were also able to catch at least part of the eclipse. However, it was not at all visible from Europe, the Middle East or Africa. Saturday’s total eclipse was unusually short because the moon passed through the upper part of the Earth’s shadow; longer eclipses occur when the moon passes through the shadow’s center. 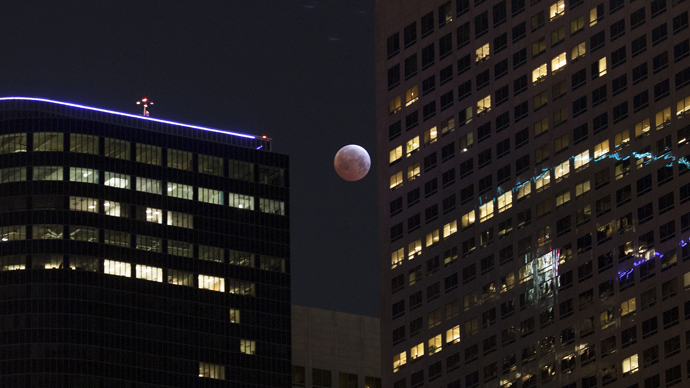 This was the first total lunar eclipse of the year, and third in a series of four in a row, known as tetrad. NASA predicts that the fourth one will happen on September 28.